The Expert Advisor is based purely on price action analysis and applies three combined adaptive trading algorithms using pending orders. 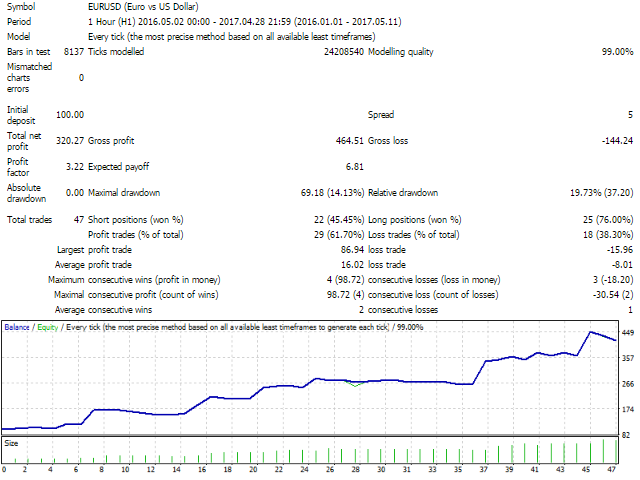 The robot follows the market price removing "noise" and selecting the most suitable trading strategy. The EA features dynamic trailing stop and brerakeven. The robot works with five-digit quotes. Optimized for EURUSD, AUDUSD, GBPUSD, USDJPY, NZDUSD, EURAUD / H1. 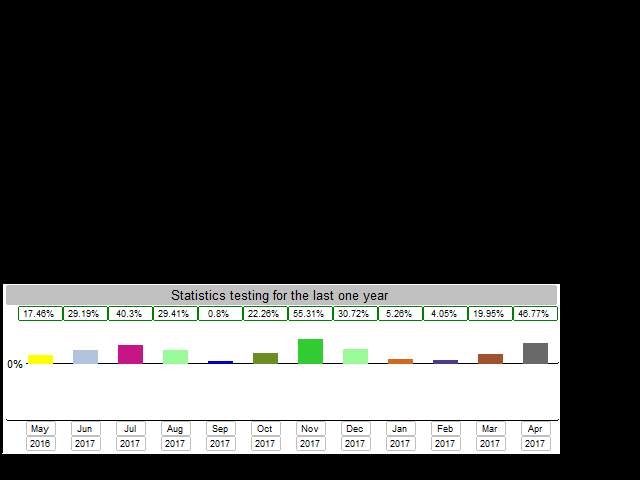 For the strategy tester: the EA provides integrated data on economic news from 2015.01.01 to 2017.05.01. Line_News_Medium - line color for medium-impact news. Line_News_low - line color for low-impact news. Step Order - step for strategy 3. Volatility price from breakout - volatility of a price from a breakdown. Volatility price for breakout - volatility of a price for a breakdown. Friday - enable trading on Friday.